Nadia was found freezing during the ice storm a few years ago with a broken hip.She looked like she had given up and could not move anymore. We brought her in and have worked with her diligently. Her hip is great and she is a fantastic do. 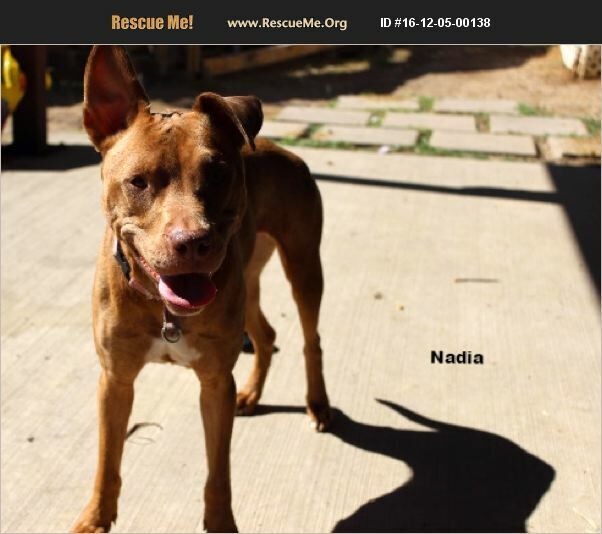 Nadia does need to be fed alone because she hovers over her food.She gets along fine with other dogs and cats. She is very friendly to people and gets very excited when she meets new people. She loves to fetch balls and enjoys a good nylabone to naw on when she is winding down.She will make someone a happy family.